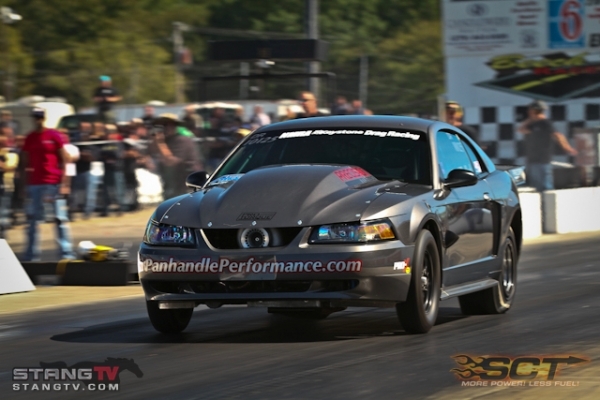 Congratulations to Jud Stansell for his best pass ever while participating in the GT-500 Shootout class. 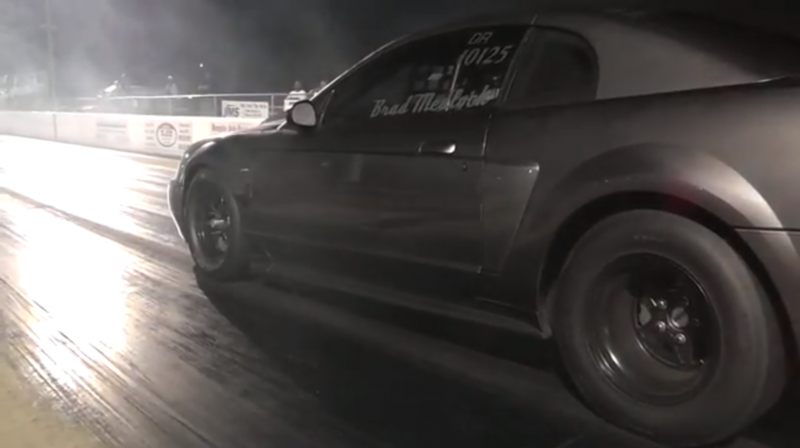 He posted a 10.17 @ 134. 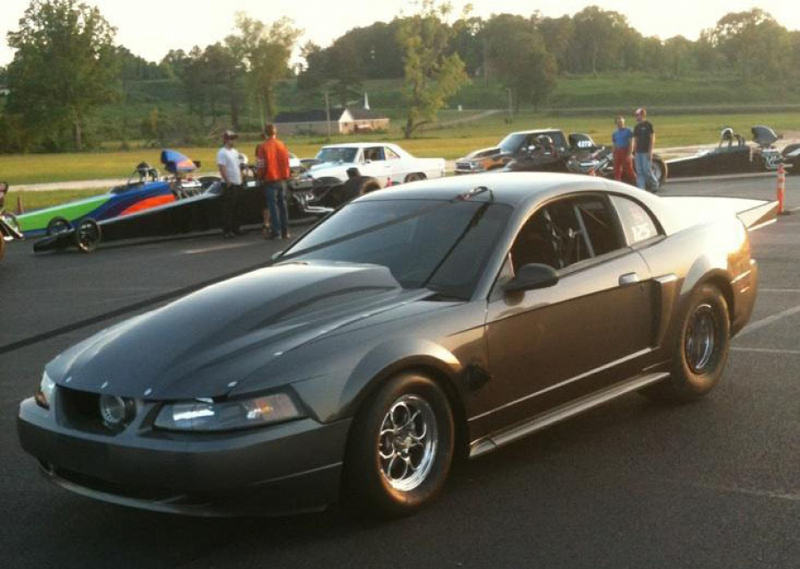 Jud’s 2003 Cobra is equipped with a Panhandle Performance mod motor, a 2.3 Whipple at 21# of boost, a straight axle and the factory 6 spd! 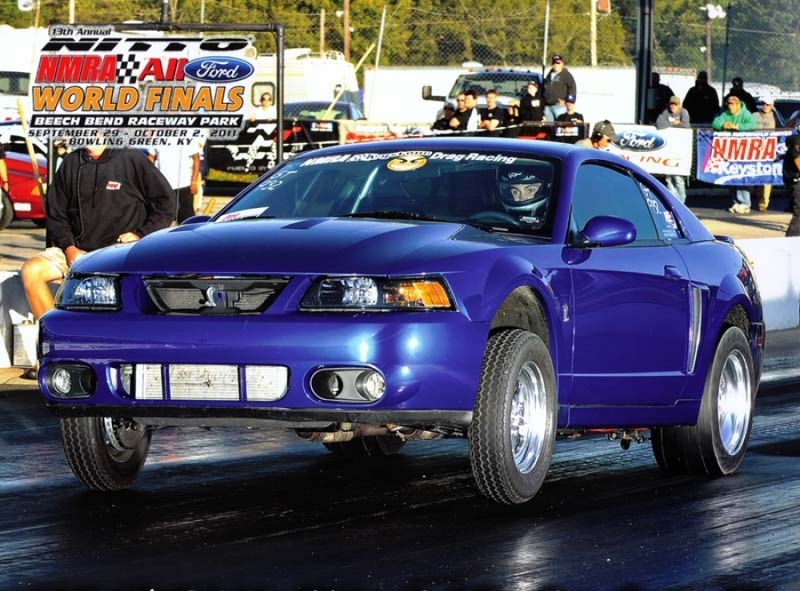 A couple of weeks later, Brad traveled to Holly Springs and, with the car getting faster on every pass, won the Outlaw Ten Five class with a final round pass of 4.82 @ 153. 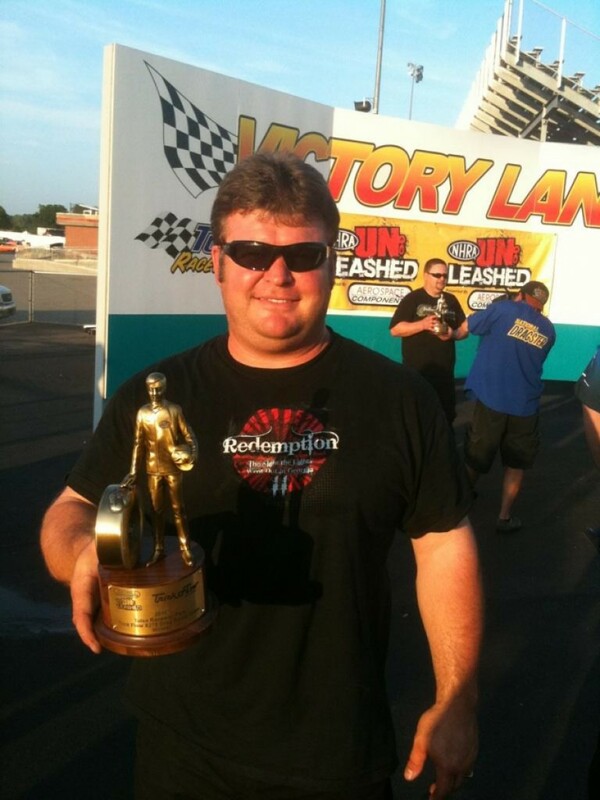 Congrats to Brad! 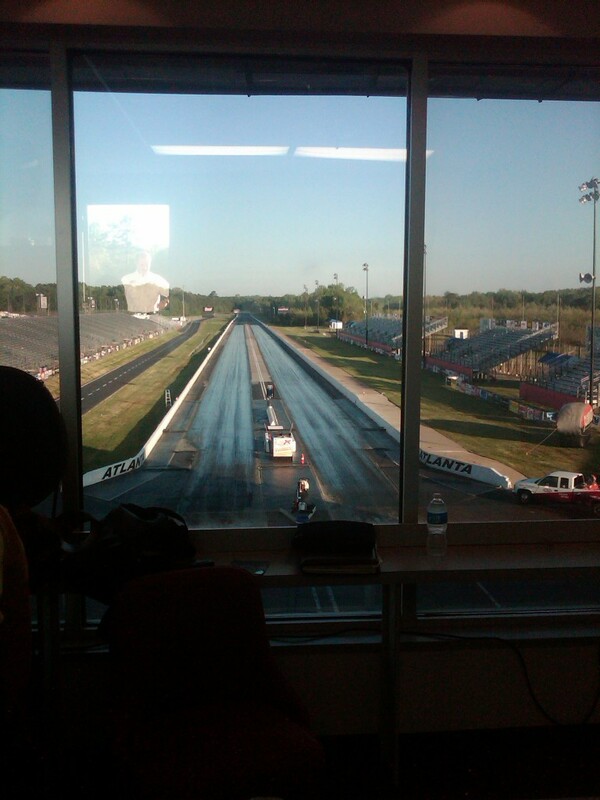 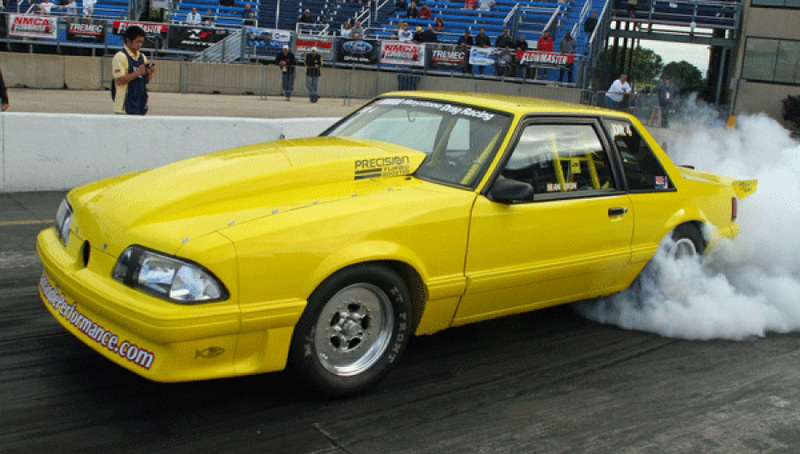 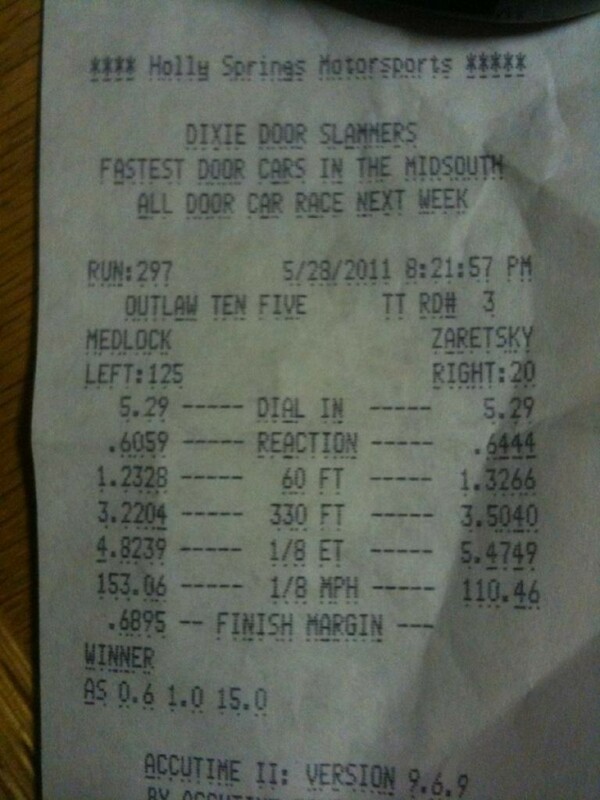 NEW NMRA DRAG RADIAL RECORD! 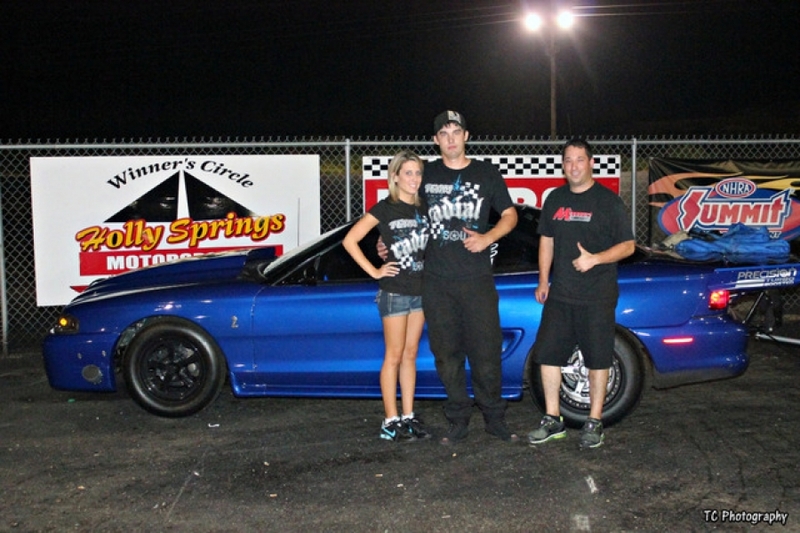 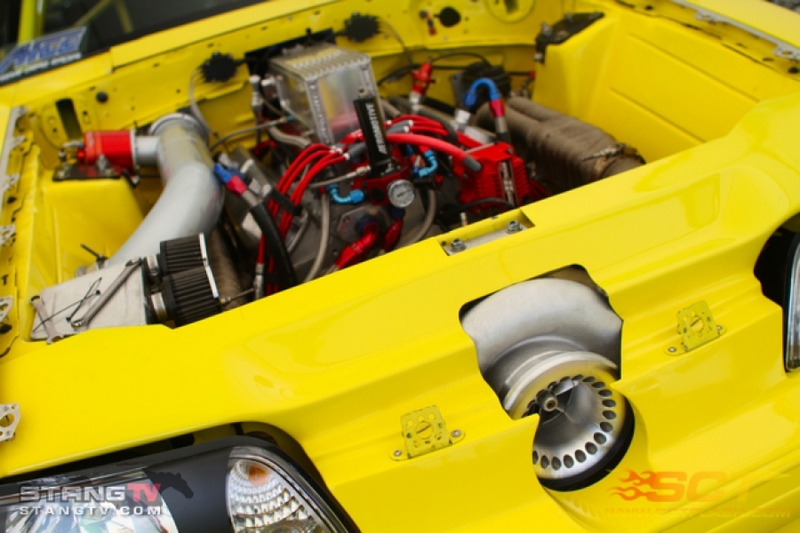 Brad Qualified in the number one position in the Trick Flow X275 drag radial class and went on to win his first Wally.